First there was The Only Way Is Essex (Towie) then came Geordie Shore and Made In Chelsea – so what other stereotypical British areas were left to explore? 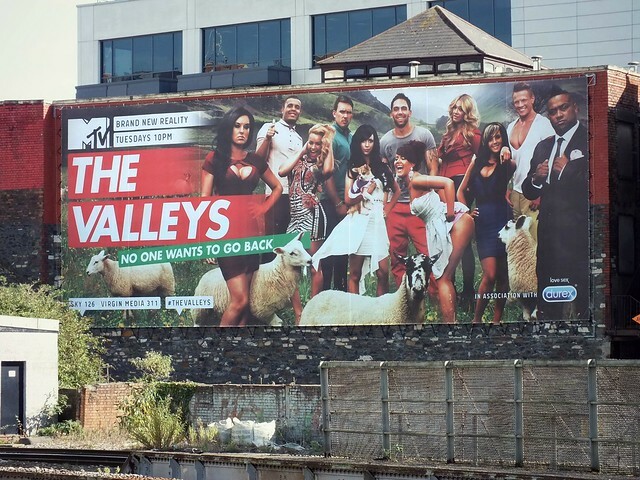 Hmmmm….. desperate times and so it must be time to feature The Welsh in a brand new MTV series creatively called …ummmm…The Valleys. So the premise of this series is still following the traditional reality-come-fly-on-the-wall filming of orchestrated scenarios but with no script. 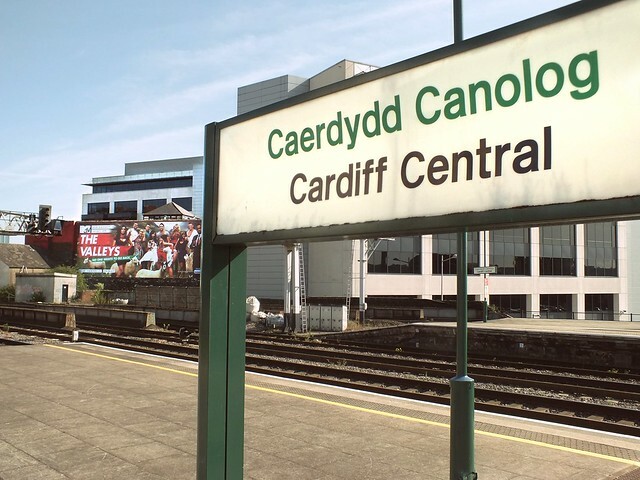 A huge poster has been put on display as you enter the capital City of Wales – and is one of the first things you now see as you arrive at Cardiff Central Station. MTV are really pulling out all the stops for this series – I just wonder how well it will be received. Sponsored by Durex no less! Cannot wait for #MTVTheValleys it's so going to be better than that only way is essex tripe! Welsh people do it better! Re:MTVs 'The Valleys',No I won't be watching as I think it will be exploitative and a horrific representation of the country that I love. 2 gyn ddisgybl o ysgol gyfun gymraeg gwm rhymni ble oeddwn ar ymarfer dysgu yn mynd I fod ar #thevalleys Methu aros ir rhaglen realaeth!! A group of people from the South Wales valleys have set up a website called The Valley Are Here. 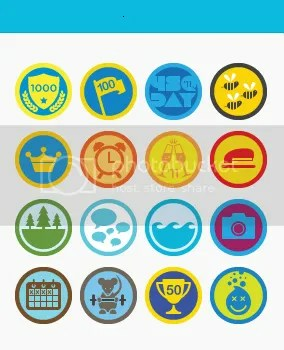 They are running a campaign to promote a much more positive image of the area to offset what is shown on the tv series. I think this tv series is more a reflection on the WHOLE of society and should not be taken as an accurate representation of ANY part of Wales. Having lived in Cardiff all my life I have come to realise that Cardiff is quite a typical City!!! The city has a huge student population thus attracts a lot of non-Welsh people here. Most parts of Cardiff have decent pubs (which now open later) and I’m sure more people stay local rather than venture into the City Centre than they used to. Back in the late 1990’s (and beyond) it was becoming a total no-go area with it resembling something from a Club 18-30 holiday (which isn’t too much of a bad thing) but I think it totally tarnished Cardiff’s friendly and fun reputation – where we were seen to be a drinking mecca along with the likes of Dublin, Blackpool and San Antonio in Ibiza. Major parts of the City Centre have since adapted and are much more friendly again now. But it does feel as if Greyfriars Road is the new St Mary Street! So what am I saying here? Are all the outsiders coming in and spoiling our city for us? Not really – but doesn’t this happen to every city these days!? MTV are making a tv series and have probably filmed hundreds of hours of footage of which only a small percentage will make it to screen – and of course only the best(insert worst here also) bits will be shown. I for one WILL most certainly be watching! So just to finish off and add to the Welshness of proceedings The MTV TheValleys Twitter account have decided to hold a #WelshSongs contest – here’s the best! We love a good game of #WelshSongs… Don't Look Back In Bangor, Aberystwyth Or Without You. Tweet us some good ones!